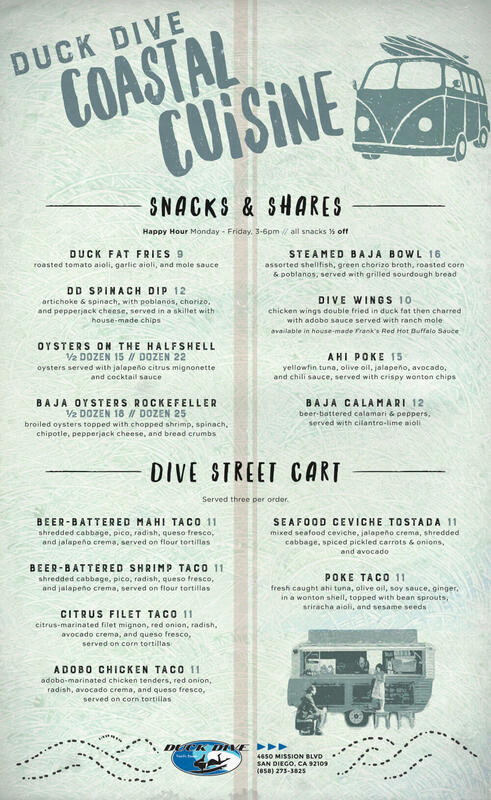 Duck Dive in Pacific Beach has new menu items! Prepare your palette, the famous PB restaurant near the beach, Duck Dive, has a new menu! 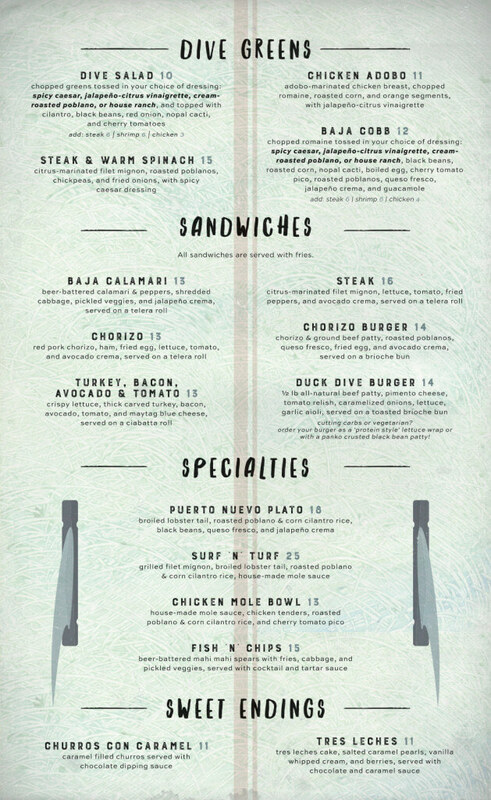 Duck Dive features culinary treats with an emphasis on California and Baja coast food such as the Steamed Baja Bowl, assorted shellfish, green chorizo broth, roasted corn and poblanos served with grilled sourdough bread. The Puerto Nuevo Plato is made with broiled lobster tail, roasted poblano and corn cilantro rice, black beans, queso fresco and jalapeno cream. 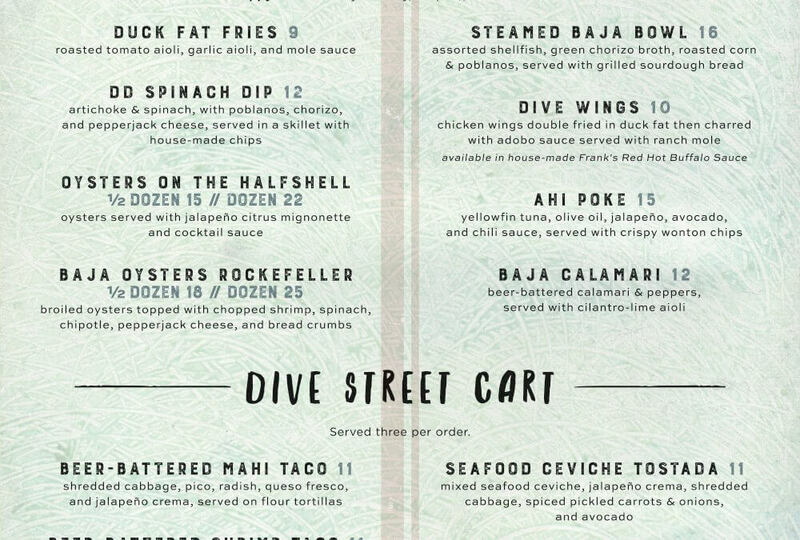 You can also order straight off their Dive Street Cart — a Seafood Ceviche Tostada, Poke Taco or a Citrus Filet Taco. If you’re going to Pacific Beach, discover Duck Dive and try some of the newest items on the menu. Duck Dive in PB is located at 4650 Mission Blvd, Pacific Beach. For info, call 858-273-3825 and let them you know found them on San Diego Blog Time!